January 22, 2019: Happy… 2019! Hope you are well and that you had a lovely holiday and happy New Year! 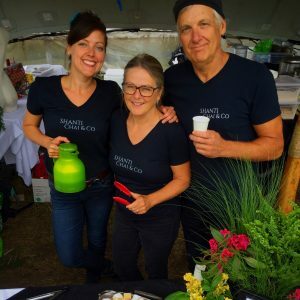 My latest news is that I launched a company in December of 2017, Shanti Chai & Co, based in Ladysmith, BC and specializing in organic, delicious and truly authentic chai! This has been my big project, and I am thoroughly enjoying the learning curve! 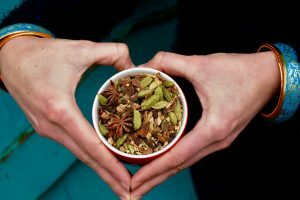 If you are interested in chai, check it out here! 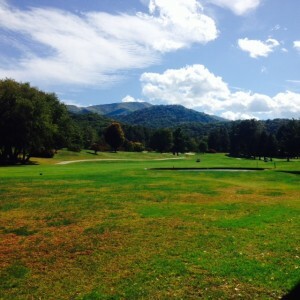 Also, I have been teaching more again, and doing more distance lessons. 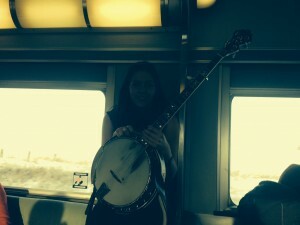 Enjoying the banjo, my guitar and new mando. February 24, 2017: Well, its officially still winter on Vancouver Island! Woke this morning to snow… after walking through a field of flowers, robins, and squirrels yesterday thinking “wow, it’s spring!” I love the snow but also love the sunshine, so am heading to Oahu, Hawaii next week and will be offering lessons while I am there, and hopefully a workshop or two. More information to come! February 12, 2017: Happy New Year! I am just updating my website and will be posting some free original tablature for both clawhammer and Scruggs’ style playing. More tabs coming soon! November 11, 2016: Well, its been over a year since my last entry… eek! We (SLD) just played a great show in Tofino (we hadn’t been there since playing with Stuart McLean and the Vinyl Cafe last January) and are excited to have lots of new material we are working up. On a personal note, I have closed my teaching studio in Victoria and am no longer teaching regular private lessons. 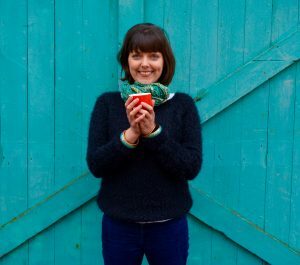 I will be running workshops in the new year, but have decided to do stop teaching full time (as much as I have loved it! and as much as I will miss my wonderful students) and will be pursuing a new career in this coming year. That’s it for now! November 7, 2015: Excited to be back on the road, with shows this weekend in the Southern Gulf Islands on Pender and Gabriola, and next weekend in Alberta with shows in Edmonton, Canmore, Calgary and Grand Prairie! 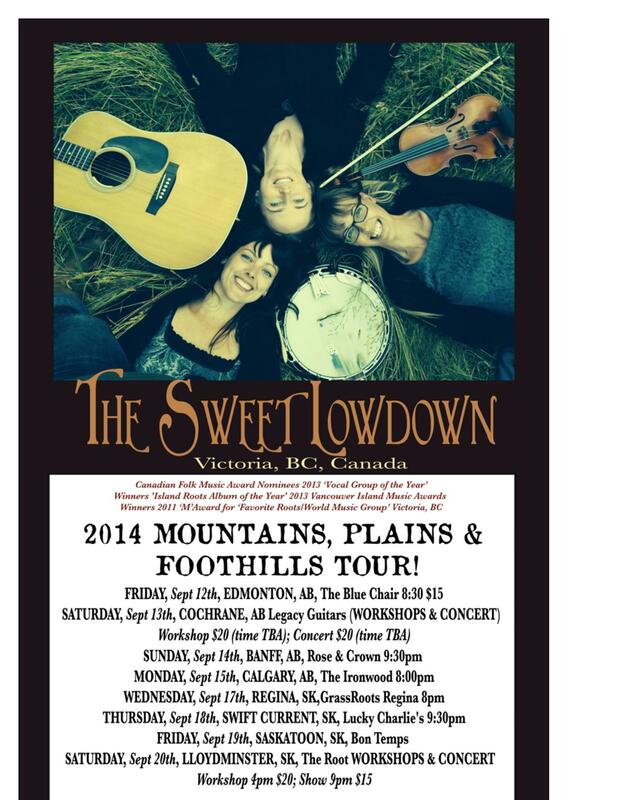 Also, The Sweet Lowdown has been nominated for a Canadian Folk Music Award, and the ceremony is tomorrow! July 4, 2015: Happy Summer! It has been a hot one too… it has seemed like August since… May! Just returned from Iqaluit, Nunavut, where on July 1st it was a balmy 1 degree! Looking forward to a busy July, with a couple of festivals, a camp in the interior, and some fun summertime gigs including playing on board the tall ship Thane in the inner harbour (always fun!). Oh yes, and SLD’s most recent album, Chasing the Sun, has been nominated for a Western Canadian Folk Music Award, so looking forward to the award ceremony and Breakout West this September, in Victoria! February 7, 2015: What a winter it has been! We released our new SLD album, Chasing the Sun, in November and had our official hometown CD release at the Victoria Event Centre on December 9. It was so great to see so many wonderful friends and family members out! The last week of January, we toured with Stuart McLean and the Vinyl Cafe, with shows in Campbell River, Nanaimo, Courtenay, and Tofino. It was a wonderful week, and such an honor to play on this fantastic show! Air dates are February 21 and 22! 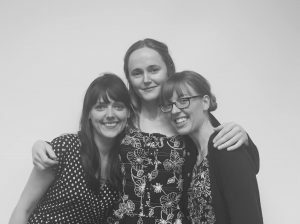 December 2, 2014: Just home from a wonderful two week Home Routes house concert tour throughout BC, and excited to say our (The Sweet Lowdown) new album, Chasing the Sun, has been released! We will have three more island CD release dates this year, finishing it off with a Tuesday, December 9th Hometown CD Release party at the Victoria Event Centre. Tickets available at Lyle’s Place, Larsen Music and Long and McQuade. October 28, 2014: Halloween is just around the corner, and excited to announce the third BooGrass Scare Dance will be this Friday, at the Norway House! Enjoying the crisp air (oh yes, and extreme rain and wind) and beautiful fall colours, and excited for cozy indoor times, practice, rehearsals, another tour! Just got back from the second tour of the year in North Carolina. It was, again, fun and beautiful! And hit fall colours during the perfect time. Getting ready for Home Routes tour now, The Sweet Lowdown will have about 14 shows on the Gulf Islands, Vancouver Island, and across southern BC and our new album, Chasing the Sun, will be available at all of them. We will bring it home, with a Hometown CD Release show on Tuesday, December 9th, at the Victoria Event Centre! July 13, 2014: It’s been a while since an update! The rest of the UK tour went well, and headed home for a bit of spring and then wham! summertime and festival season! Headed down to Washington (my home state) to play at the Sacajawea Bluegrass Festival in Pasco, WA, then to Ontario for a few lovely house concerts and for the Tottenham Bluegrass Festival, and over the last couple of weeks a few lovely festivals close to home–Pender Island Festival of the Arts and Pacific Rim Festival in Tofino. Enjoying the hot weather and looking forward to the rest of the summer–and all the lovely music events that go along with it! April 24, 2014: Hello from the UK! About half way through the 18-date tour, so far have played in Sarratt, London, Chagford, Calstock, Bath, Bristol, Birmingham, and Towersey… Had a few great days in London, saw as many sights as possible, walked and walked, enjoyed the subway, and went to the British Museum and the National Portrait Gallery. Somehow the weather was exceptional–sunny and warm! Since then it has been a show (or two!) a day. 8 more to go! April 1, 2014: Wow, spring has sprung, and enjoying the sunshine and cherry trees on lovely Mayne Island, where The Sweet Lowdown is recording our next album, to be released this fall! Having a great time, excited about the new songs and tunes, and really enjoying the beautiful surroundings and quiet island life! This weekend we are showcasing at Pacific Contact in Vancouver, and a few days later flying to London for first UK tour–18 shows in 17 days, in… 18 cities! For tour dates please see Shows page! January 13, 2014: Happy New Year! Hope you all had a lovely holiday. I had a lovely one with my family, and after Christmas performed on the train, as part of VIA Rail’s Artists Onboard Program, from Vancouver to Winnipeg, where I had a lovely time playing tunes and meeting friends new and old! Back in Victoria now, and looking forward to a busy next couple of months… The Sweet Lowdown is heading to North Carolina for February, to Folk Alliance International Conference in Kansas City, MO February 19-23 (where we have official and private showcases), into the studio in March to record our third album, and to the UK in April! Schedule for all upcoming shows on Shows page, or on The Sweet Lowdown page here. Woot Woot 2014! Finishing up 2013, on VIA Rail’s Artists Onboard Program! November 29, 2013: Just back from a lovely few weeks playing in BC, Alberta and Saskatchewan! Got some real winter in–beautiful views in the mountains, fresh snow in Alberta, and the coldest temperature this island wimp has ever experienced… – 32 Celsius in Saskatoon! Enjoyed lovely shows, memorable jams, and good laughs. Have had such a great couple of months on the road, but now looking forward to some down time, teaching, getting the metronome out, learning some new tunes, writing, seeing friends and family here, and the upcoming holiday season! October 13, 2013: Happy Autumn, folks! Excited to be heading to Ontario this week, its our first time at OCFF and The Sweet Lowdown has an official showcase on Friday, October 18th, at 10:30pm in the Britannia Hall. 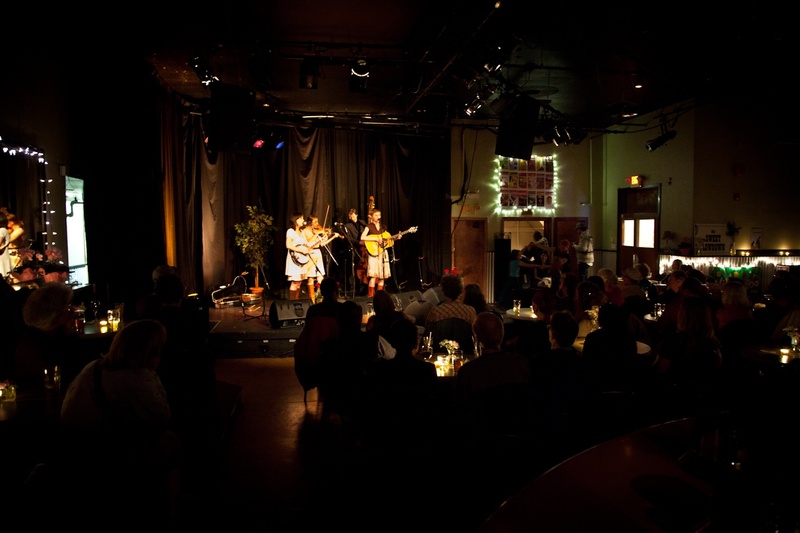 We have also been nominated for a Canadian Folk Music Award–looking forward to the gala on November 10th in Alberta! November BC/Alberta Tour/Saskatchewan Tour scheduled–check out the shows page for details! And thank you to Canada Council of the Arts and the Government of BC (MITAP) for the travel funding! It is deeply appreciated. August 13, 2013: Had a lovely time with SLD at the Mission Folk Festival, where we had a showcase (thank you Music BC for sponsoring!) and at the 13th Annual Subdued Stringband Jamboree in Bellingham, WA! July 23, 2013: Folk on the Rocks rocks! It was wonderful to be in Yellowknife, NWT, met lots of incredible musicians, had some awesome jams, and got to spend time with my cousin, Kate! And the long days made it seem like summer hours were being stolen–it didn’t get dark til after midnight! Can’t wait to come back up north. June 13, 2013: Had such a great time up at the Kluane Mountain Bluegrass Festival in Whitehorse, YK and at the camp afterwards! 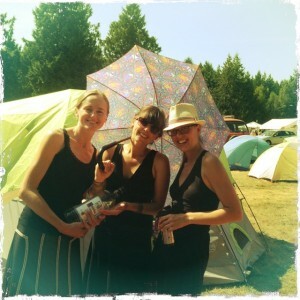 Now heading home, and excited for the first Sooke River Bluegrass Festival… in 3 years! So glad its happening again. May 1, 2013: The Sweet Lowdown’s new album, May, has just been awarded “Roots Album of the Year” by the Vancouver Island Music Awards! Thank you all for your support! March 24, 2013: Just back from a two week Home Routes House Concert Tour in Ontario and Quebec. Had a great time, met lots of lovely folks, got a little dose of winter, and played a whole lotta music! Also happy to be home, and happy Spring! December 28, 2012: Hope you all are having a lovely holiday! I have a new solo EP available on CD baby now, feel free to check it out here! 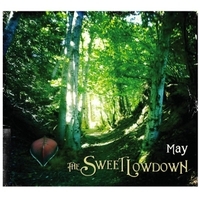 Also, the new Sweet Lowdown album, May, is now available on iTunes here. It has been a great year, and I wish you all the best for 2013… (That sounds so futuristic!) Happy Holidays! December 10, 2012: Happy December all! I am heading to my hometown, Olympia, and will be teaching banjo lessons there on Friday, December 14th. I will also be teaching in Kauai, HW January 13-21. To book lessons in either location please email me. Hope you are all well and have a lovely holiday! November 22, 2012: Ah, its been such a busy couple of months! California, the Midwest, BC, Alberta, and the Gulf Islands, and then a beautiful night with Victoria hometown CD release last week–thank you everyone who came out, that night and over the past couple of months! The new CD is available online now on CD Baby! September 16, 2012: Looking forward to heading to Seattle next weekend to teach a couple of workshops at Dusty Strings! 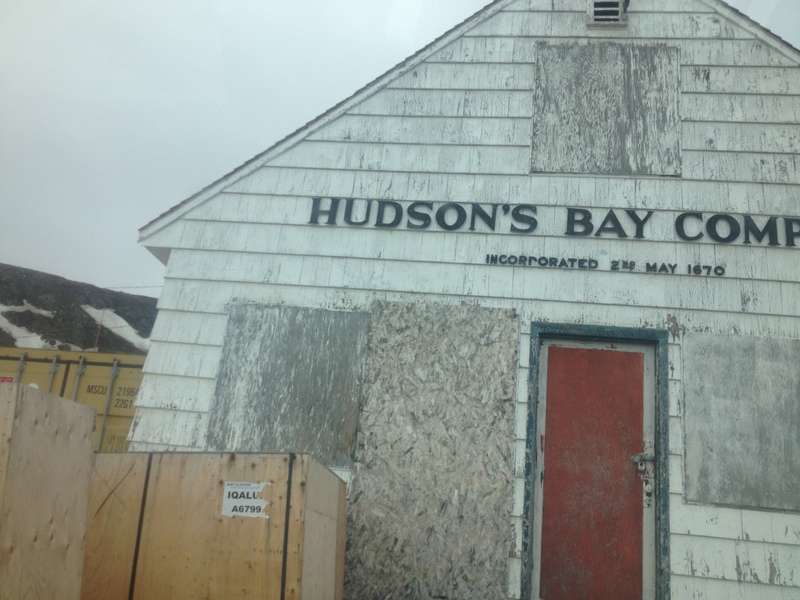 Its where I bought my first banjo, when I was about 10… I think it was an old Kay Banjo, and sounded like a tin can! Anyway looking forward to those, they are on Saturday, September 22. The first is on metronome for banjos, the second on metronome for jamming/bands (for any bluegrass instrument). Please check out their website for more info or to register! September 1, 2012: Well, I can’t believe it is September already. It has been an amazing summer. Spent the beginning of August in Cape Breton and at the Lunenburg Folk Harbour Festival and Northern Lights Bluegrass and Oldtime workshop and festival with SLD, and then the past week at NimbleFingers workshop in Sorrento. All was lovely, but I am excited to be home too. 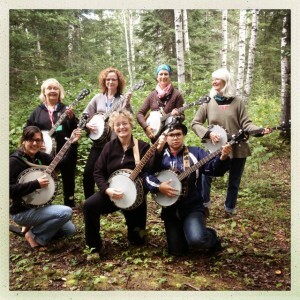 Bluegrass banjo class at Northern Lights workshop! July 24, 2012: Had a lovely time at the Island’s Folk Festial over the weekend… And was runner-up in the Islands Songwriting Contest! Congrats to winner Kemal Evans and second runner up Naomi Payan, and everyone else–all were amazing! July 15, 2012: Happy mid-July! It has been an incredibly fun month already… a week in Kauai (this time, with an instrument… never going again without it!) and made some lovely friends there. Thank you to Kauai Community Radio, the Eastside, and Hanalei Gourmet and everyone who helped make the shows so much fun, and Laura, Paul, and Jessica of course! Then home again, and SLD played the lovely Butchart Gardens, Filberg Concert series in Comox, and Heriot Bay on Quadra Island. Comin’ up: Island Folk Festival, Cape Breton, Lunenberg, Northern Lights, Sorrento. June 11, 2012: Excited to be a finalist in this year’s Islands Songwriting Contest for “Drink It Down”! Final contest will be July 20th at the Islands Folk Festival! May 15, 2012: Thank you to Adrian Dolan and the Iredale-Gray’s for an amazing time on Mayne Island recording the next album. We had an absolutely amazing time! April 28, 2012: We are heading to Mayne Island May 1st to record! 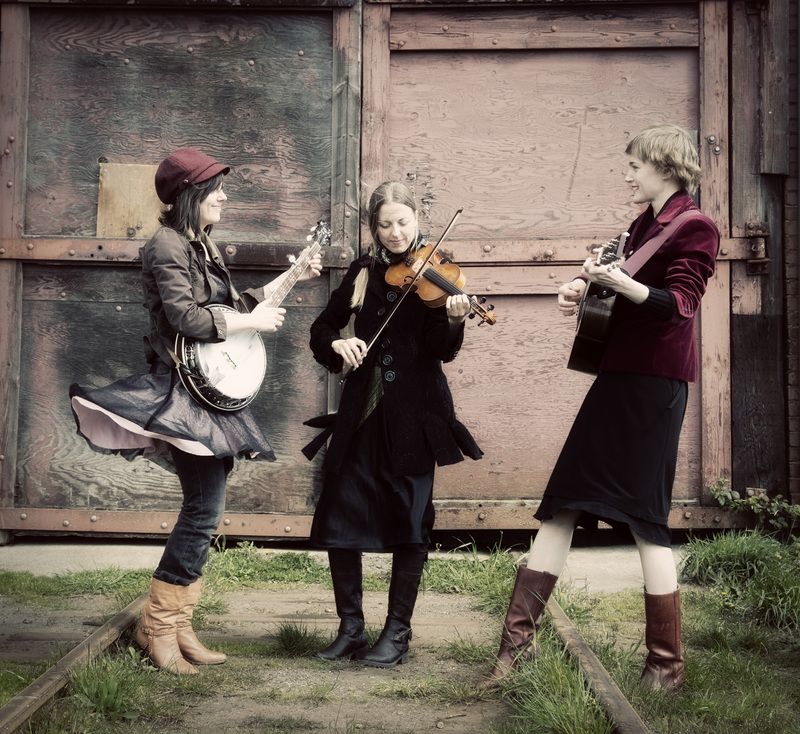 April 9, 2012: The Sweet Lowdown will be playing at Lunenberg Folk Harbour Festival August 9th-12th and at the Northern Lights Bluegrass and Old Tyme Festival in Saskatchewan, August 17-19. March 28, 2012: New Sweet Lowdown video by Matt Miles up! 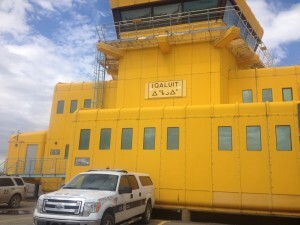 March 20, 2012: Recent SLD interview with Behind City Lines is up now: http://www.youtube.com/watch?v=iNIVrbASJtM&feature=youtu.be. Also, thanks to all who came out to the Folk Club Sunday! February 14, 2012: The Sweet Lowdown (2011) has been nominated for Album of The Year (Vancouver Island Music Awards)… the award will be announced April 21! http://islandmusicawards.wordpress.com/. We will also be heading back to record the next album in May! February 12, 2012: UPCOMING JAM WORKSHOP: Monday nights (6:45pm-9:00pm) in March will be Level 2 Jam Class… Any bluegrass instrument welcome. Pre-reqs: know basic chords and a scale or two on your instrument; be able to pick a few tunes; some knowledge about the Nashville Number System (1, 4, 5 chords! ); and have some jamming experience… To register, please contact Larsen Music! February 11, 2012: I will be teaching at Vancouver Island Music Workshop Sept 7, 8, 9 2012 (near Parksville) this year! For more info visit http://vancouverislandmusicworkshop.com/. January 25, 2012: The Sweet Lowdown will be up island this weekend with shows at The Heriot Bay Inn (Quadra Island) on Friday (Jan 27) and Creekmore Coffee in Coombs on Saturday (Jan 28). Then Moby’s Pub on Salt Spring Island Saturday, Feb 4 and we are very excited to be opening for The Breakmen at Hermanns Jazz Club in Victoria Sunday, Feb 5th! January 23th, 2012: Happy New Year! Excited to start a new year, with lots of music n stuff in the works! New workshops coming up… Feb 11 through the VBA, a two hour workshop on The ‘Gnome (metronome)–tips, tricks, and ways to play with it. For more info, please visit http://www.victoriabluegrass.ca/. In February at Larsen Music (Cook St) I will be doing a Level 1 Jam Class again (very fun last time! And suitable for individuals on any bluegrass instrument who know the basics–a few chords, a tune or two, and who are excited to start playing with others). In March, it will be (same time, same place) Level 2, and we will go more into depth with taking solos, improvising, kickoffs, endings, and unusual keys. Both Level 1 and 2 will be a month long (Monday nights, 6:45pm-9pm) with a short and very fun show at the end at the Fernwood Inn! Each workshop is $145. To register, or for more info, please call Larsen Music at 250.389.1988. December 2, 2011: December already… that was fast! SLD will be heading up island soon for a couple dates: Joes Garage (Courtenay) Saturday and Dec 10th, Square Dance and Concert (Cowichan) Saturday, Dec 17th. Please visit www.thesweetlowdown.com for more info. June 23, 2011: The Sweet Lowdown (2011), our first album as a trio, is officially released in Victoria! Thank you everyone for your support, and for coming out and making this such a special night. April 6, 2011: Thanks to all who voted in the M Awards! 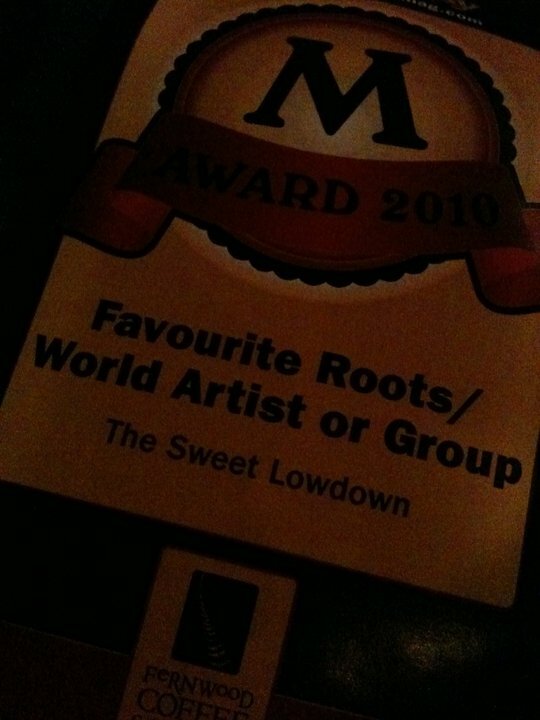 The Sweet Lowdown won the M Award for Favourite Roots/World Music Category!